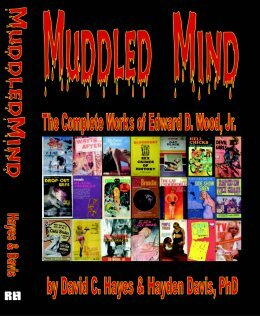 The Complete Works of Edward D. Wood, Jr.
Actor David Hayes and his altered ego, Hayden C. Davis -- of the San Quentin Davises -- have written and collected dozens of articles about the one-and-only Ed Wood, Jr. and included some stories by Ed himself, as well as the most compleat bibliography of Wood ever assembled. There's even a chapter on how to collect Woodiana. Many people don't realize that Ed wrote many books -- just about all as sleazy as his films -- and deserves to be known for his literature as well as Plan 9 from Outer Space. One of Ramble House's best sellers.